La Quercia (The Oak Tree) is a landmark at the Montebelli Agriturismo and Country Hotel in Caldana, Italy. It is said to be over five hundred years old and to have survived a lightning strike which almost burned it down. It enjoys perhaps the most spectacular view of the farm, situated on the tip of the western hill with 360 degree panorama that allows a perfect view of Caldana and vista on Giuncarico, Montepescali, Vetulonia and the rolling hills that spread towards Il Puntone on the Mediterranean Sea. 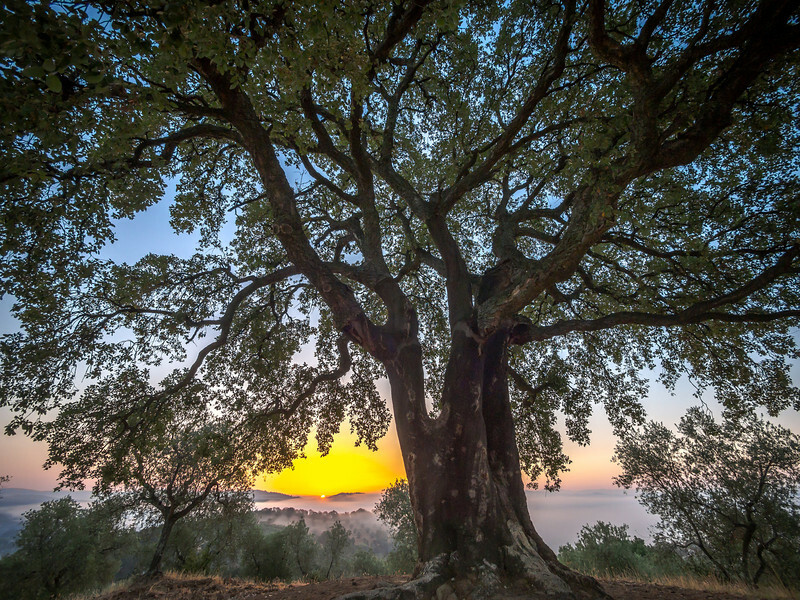 Beyond the beautiful views, what makes the Oak Tree special is the energy that it holds, a point of spiritual significance which seems to keep the ecosystem of Montebelli in perfect equilibrium.